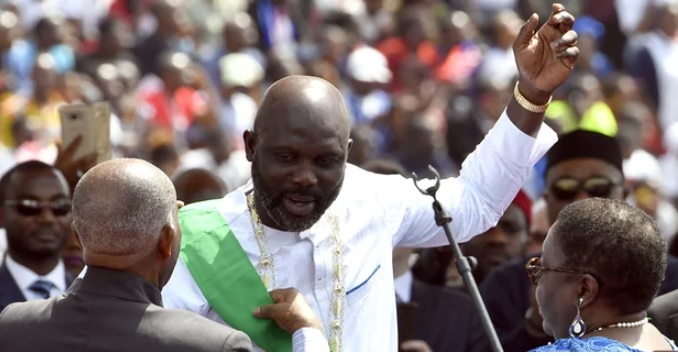 George Weah won presidential election in Liberia, he was sworn-in as a President of Liberia on 22 January 2018. 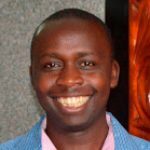 He was a former soccer star at the global arena. He is the first footballer in history to lead a country. This is the first presidential inauguration in 2018. George Weah won presidential election in liberian from huge crowds of supporters estimated to be 35,000. They gathered at Samuel Doe Football stadium to witness his swearing-in ceremony. This is a historical moment since it is the first democratic transfer of power since 1944. George Weah in his inaugural speech promised to fight corruption, pay civil servants better and improve business environment in Liberia. Among the dignitaries at the ceremony was the Cameroonian soccer star, Samuel Etoo and presidents of Sierra Leone, Ghana and Gabon. President George Weah was born in 1966 and grew up in a slum in Liberia. He is the only African who won the FIFA player of the year award. “I have spent many years of my life in stadiums but today is a feeling like no other,” said George Weah during his speech. Do you think President George Weah will be a performer? Feel free to share with us in the comments section.